A nice, simple frame that still sets off the picture very well. I would recommend this frame to anyone. It looks great with my yellow rose in it. I would send a picture of it but it's on my phone and I don't know how to get in onto this message. 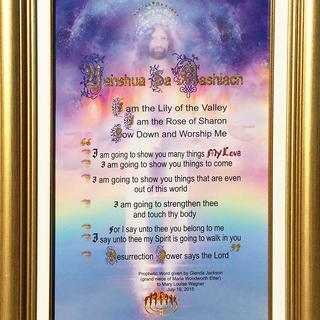 Bought this golden color frame for the papyrus picture in light azure colors. It looks beautiful above the fireplace! Great product, great price, great packaging, speedy shipping. What else is there to say? I will be ordering from you again and in the near future. This is a really nice frame and I love the built-in liner. Follow the instructions for entering dimensions etc... and you will always get what you expected. Picture Frames does really good work and they stand behind their work. Very quick delivery and frames arrive in extremely good sturdy packing. Never any damage. Quality frame , picture, mats, and acrylic cover. Beautifully crafted in quick turn-around time. Love the frame. Excellent quality and value. You folks are THE BEST packers on the planet. Just wish you would offer more free shipping!!! 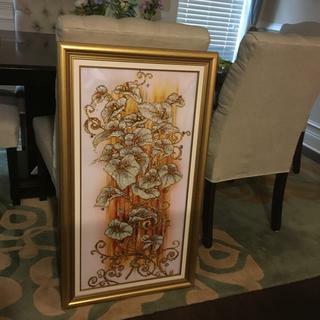 This was to frame a very special piece of digital art made as a one of a kind gift that had little room for a traditional mat,but I wanted the look of a matted work. 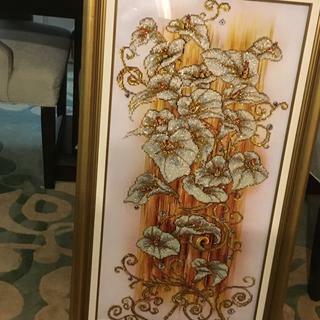 Beautiful custom size, well made gold with white inlay frame was just perfect. Would definitely purchase this product again. First time using pictureframes.com and I was very pleased with the product. This frame matched the best with the colors in my landscape. 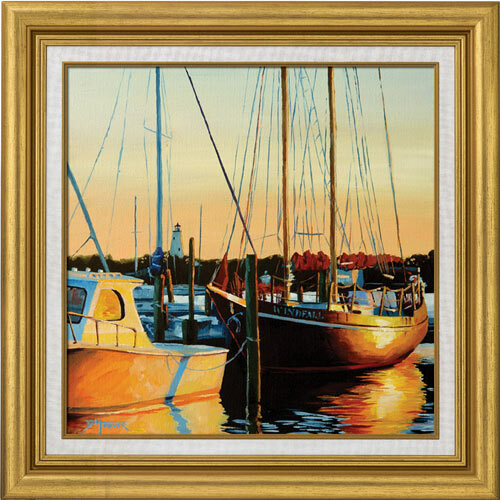 I love the look of a linen liner between frame and oil canvas. we have similar frames for family photos and these were the nicest looking we found. I have a gold rose, I painted with a touch of peach. I thought it would look great in this fame. I have used this frame for previous art work and comparing it to other frames, it is still my favorite. thank you. I purchased the same type of frame previously. It's elegant!! Thank you. Tried other Co. frames, but came back to (Picture Frames) because of quality and price. This frame can be put with many different paintings. I'm framing a fall landscape, the colors in this frame will set off the whole painting. It goes well with the art work I am framing. Wanted gold with a linen liner. It's for an official wedding blessing from the Vatican. Very elegant! I wanted to re-frame an oil painting. I wanted the gold color and the white liner. 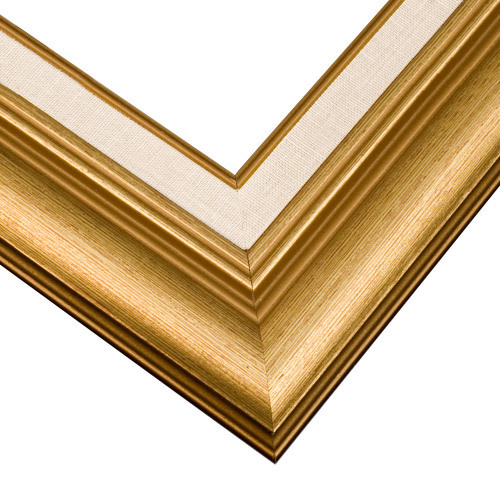 I liked the way the white liner contrasted with the gold frame and the art work I had chosen for this frame. Simple and elegant as not to distract from the painting itself and the linen border helps maintain a clear and uncluttered view of the painting. How wide is the liner? Almost 3/4 inch is what I measured for the width of the liner. The white liner is 11/16th in. The permanent mat is 1" wide. Is the profile for this frame correct? 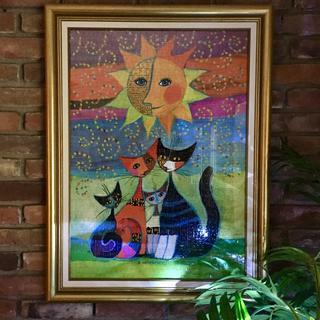 It doesn't seem to match the frame picture. BEST ANSWER: The profile listed for the frame is correct. If interested, please order a free sample of the frame before making your purchase. Have a great day.